Tired of the same old alarm clock? Now, start your day right with a wake-up call from this sleekly designed LED alarm clock, MirrorTouch™. And you can also use it as a mirror! 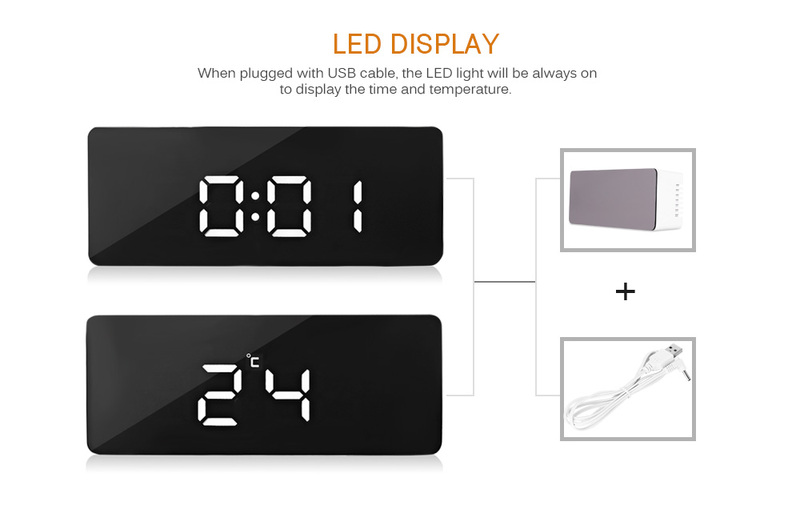 With 12-hour or 24-hour LED display options, the clock conveniently informs you of the temperature and automatically dims the lighting at night according to your preferences. With two size options available you can find one that best fits into your room. The MirrorTouch™ has an exquisite mirror style, full of modernity. Its compact design makes it portable and easy to use. MirrorTouch is perfect for living room, bedroom, hotel rooms etc and can work as a great modern decoration piece. MirrorTouch™ will instantly add a touch of elegance and style to any room! 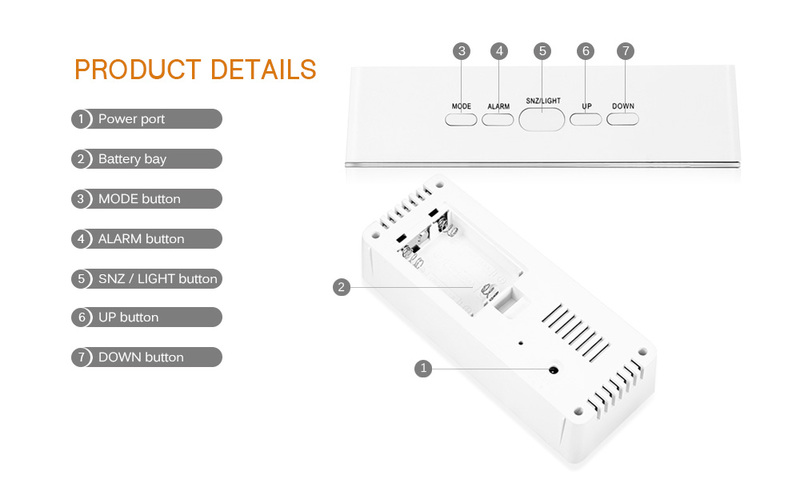 You can use it as an alarm clock, temperature display, mirror, dimming light etc. MirrorTouch™ features a convenient LED screen with a bold contemporary font. The attractive and durable ABS construction is built to last. Simply power it either with 3 AAA batteries or with USB Plugin. MirrorTouch™ can be used as a bedside night light and comes with a touch-sensitive control. The Blue numbers will magically show up on the mirror surface and the automatic sensors will dim the display at night for your comfortable sleep. You won't forget anything ever again. MirrorTouch™ can set at most 3 groups of alarm modes. Now, plan your entire day and let MirrorTouch™ remind you about tasks on time.